Heronswood container gardening tips for designing and planting attractive and healthy arrangements. Select a container to match the number and size of plants that will fill your pot. Provide each plant the culture it needs to grow well, and mix together plants that require the same growing conditions. For a strong focal point, use the plant that will grow the biggest or has the most interesting and dominant features. Example: Echinacea, Lavatera & Caryopteris. Use upright plants with finer, softer habits as your fillers. Example: Grasses, Perovskia. Edge the planter with low growing, dense and bushy, or arching plants. Example: Coreopsis & Salvia. Some plants are attractive grown separately in individual pots. Example: Eucomis. 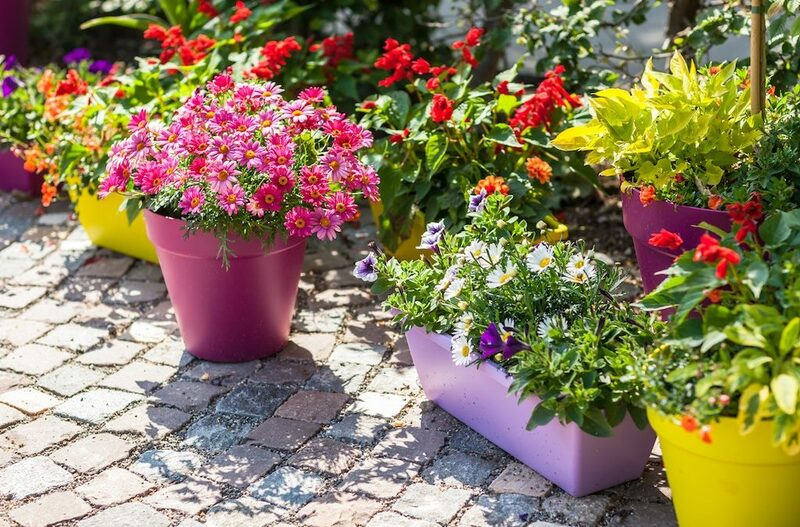 Groom the plants regularly to keep the planters attractive and healthy through the season. Keep water off the top growth. Water along the base of the plants, around the rim of the pot. Water thoroughly each time you water.